Learn to cook from Martha! 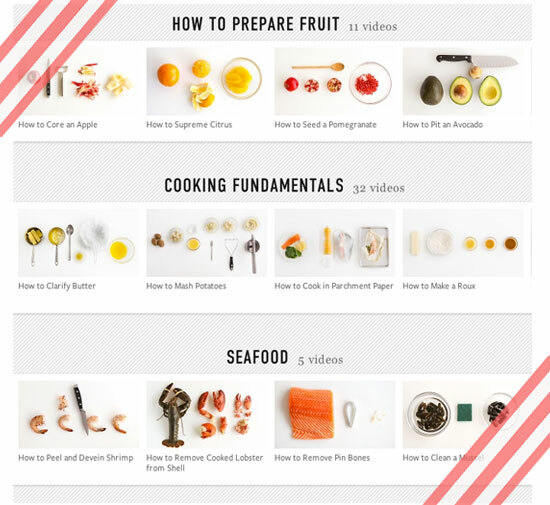 I just discovered this amazing How to Cook video collection on Martha Stewart's website. I love the layout and design of the videos. They're short, simple, sweet and they cover a range of culinary topics: How to Butterfly, How to Julienne, How to Clean a Mussel, How to Cut a Fennel Bulb... I want to watch the knife skill videos. Doesn't cutting fast make you feel like such a pro? I need to practice. I also want to try roasting beets. Beets + goat cheese is so delicious! And look at that lobster up there! I've never made/bought a lobster. Lobsters make me think of the movie Julie & Julia..."Lobster killlaa!" :) I was so impressed with these videos. Check them out here!